There has been buzz in the media that the price of gold may have been subject to manipulation in the past decade or more. This price fixing however seems to be inconsequential to David Lutz, leading strategist for Stifel Nicolaus, who recently stated “I can easily see us overtaking $1,600 an ounce.” Here is a quick recap of the three reasons David believes gold still has a long way to go as 2014 unfolds. The European Central Bank may have to start printing money this year to help fight off deflation risks and help with what remains of the shaky economic growth in Europe. The Bank of Japan may also have to ramp up its asset buying as well. This would be beneficial to gold because of overall inflation concerns. As more money enters the global marketplace, the value of paper assets decreases, thus making gold a preferred vessel to preserve wealth. An import duty of 10% on all gold is making it difficult for India to keep up with its aggressive gold consumption. Demand still remains high which is why more and more cries to ease the import duty are growing. Recently, the All India Gems and Jewelry Federation made a plea to lower the import duty down to 2%; stating that they are facing “the worst crisis ever” in the industry. If these import duties finally subside, then gold will stand to benefit. India’s demand for gold is still strong and the moment the import duty lowers, the flood-gates may open and cause a spike in gold consumption. If this happens, the price of gold should naturally see a gain as well. Chinese gold imports have reached the highest level in nine months in the past two weeks. It seems each week that goes by more and more reports come out on the continued demand for physical gold in China. Keep in mind that China overtook India in world gold consumption last year by reaching the 1,000 tonnes mark. If this physical demand wasn’t enough, it seems that the superpower country is also stepping into the electronic market. New electronic-traded funds (ETFs) out of China may also boost the need for gold. All of this is positive for gold. The more demand and need for the yellow metal, the higher the price. It’s only February and demand has already hit record levels. Gold buyers would be wise to keep an eye on China’s continued demand. Gold is on track to post its second monthly gain this year. The yellow metal is up around $100 per ounce in 2014 and according to Lutz, it still has more gains to see. A huge driver for gold is its safe-haven appeal. 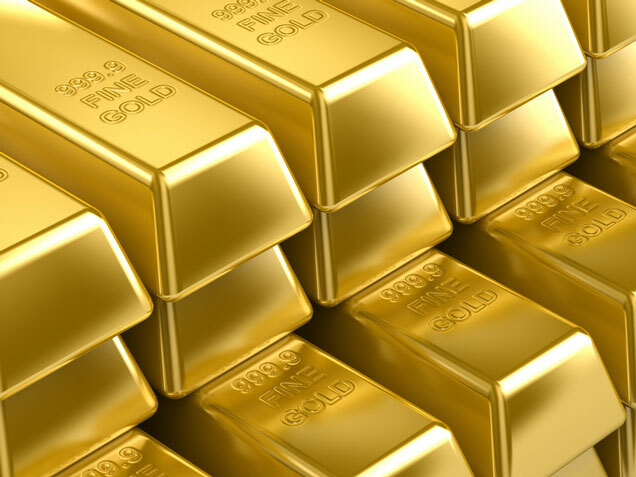 Inflation from the world banks worries investors that paper currencies will decrease in value – therefore, gold is a prefect storehouse for that wealth. India’s population is also hungry for gold as its economy is still on shaky ground. Precious metals are an excellent way to safeguard wealth during troubled times. American Bullion is a nationally listed precious metals dealer that specializes in gold retirement accounts. We help clients roll over or transfer funds to a precious metals IRA, whether it’s a Gold IRA, Silver IRA, or other precious metals. We pride ourselves in providing a tax-free and hassle-free rollover process along with a comfortable atmosphere for clients to buy gold. For more information, speak with one of our knowledgeable precious metals experts today at 1-800-326-9598.